The manufacturing of aMbooo products is realized exclusively by using bamboo culms from sustainably managed bamboo forests. Each culm must be at least 5 years old and harvested in the highlands. Only highland bamboo possesses sufficient strength to stand up to both our and your demands for modern and resistant decking boards. As a basis we exclusively use highland bamboo, hard, fast re-growth and tree-free. Up to 1 metre growth a day. A giant grass with best marks for ecology. Tongue & Groove minimizes material waste during installation. Our thermal treatment modifies the bamboo fibres thus increasing durability. No natural spiral grain as with wood. Very low absorption and contraction behaviour. With our maintenance products guaranteed less color change caused by UV Light. 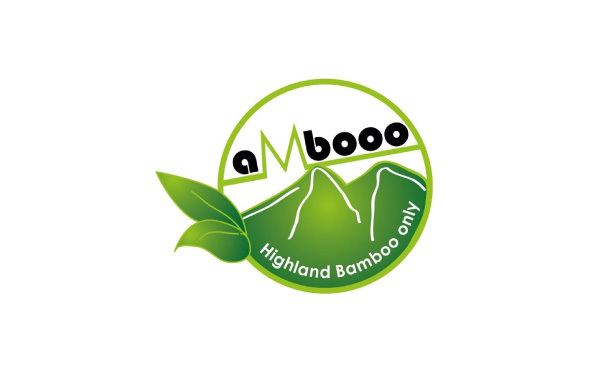 It is recommended that initial treatment be carried out with aMbooo Special Bamboo Care Oil after products have been installed (please read the instruction guidelines). The products are subject to weather incidence, such as rain, sun, wind, ice and snow and may naturally change their form and appearance through the influence of these elements. This aging process underlines the natural quality of the materials employed. With aMbooo care products, the surface can be preserved in its original color for a long time. 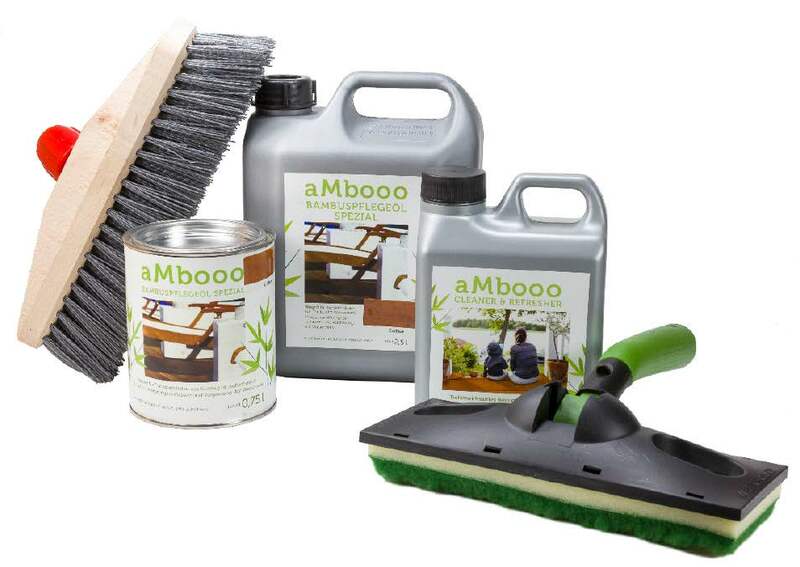 When laying aMbooo products in the pool area, regular cleaning and care is particularly important. Oil is environment friendly and non-flammable.